When you think of stars, you probably imagine massive, burning balls of fire much like our sun, but there are stars out there in space which you could actually stand on and not be burnt to a crisp. NASA has known of these celestial bodies — called brown Y dwarf stars — for a great long time. But now, a satellite has spotted a particularly chill Y dwarf that holds the new record for the coolest star at just 80 degree Fahrenheit. Prior to the discovery, the coolest Y dwarfs on record wouldn't instantly incinerate a human explorer, but that unlucky individual would be uncomfortably warm. The new cold star record holder put out just enough infrared light to be spotted by NASA's Wide-field Infrared Survey Explorer (WISE) satellite, and is an order of magnitude cooler than any before it. WISE also spotted roughly 100 other brown dwarfs — a handful of which are considerably closer than NASA had thought. 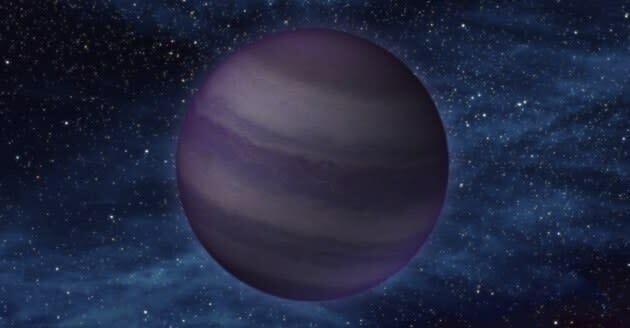 Brown dwarf stars of sometimes referred to as "failed stars" because their comparatively low mass keeps them from being able to fuse atoms like our own sun. The lack of bright visible light makes these cool stars difficult to spot, even with the assistance of telescopes, and infrared sensors are sometimes the only way to learn of their existence. Researchers were surprised to learn that several were within 40 light years of our own solar system, just a stone's throw in terms of our galaxy.